On Facebook and Twitter, I often read about how “bored” many people are. With as many tasks I have to complete each day, I have a difficult time envisaging how any individual who is in middle school and beyond can experience boredom. Why not read the numerous great books available? Why not start a blog? Why not invest more time into studying your core academic subjects, especially those that pose the greatest challenges? When you feel like you’re bored, this is simply a sign you’re not devoting your time to enough important phenomena. While you may not feel inclined to make lifestyle changes, I want to warn you that I’ve witnessed too many people get themselves into serious trouble by being “bored” too often. The answer to being bored is not drinking so many alcoholic beverages you end up attempting to drive your car and then foolishly run into someone on the road and kill him or her. This can cause you to end up incarceration and then you’re really going to know what boredom truly is. Although you may live in a small town where there’s not many places to visit to offer you entertainment, you need to learn to gain satisfaction from appropriate things you can do with your time. For those of you in middle or high school, I would encourage you to participate in as many extracurricular activities as you can. Join as many clubs as you can. If there are not clubs or organizations on your campus that interest you, see if there is a faculty member who would be willing to start a formal organization or club that interests you and others. If you cannot get a faculty member to help you to start the type of organization or club you desire to be a member of, then partner with other students and form the club or organization. You will find that there’s nothing wrong with having an informal club or organization. Make the most of your time. Life is too short for you to waste most of your time talking about you’re bored. One of the best ways to terminate boredom is to find things you can do to help others. Your life will be more rewarding when you give some of your time to helping others. Many people are always bored because they are empty on the inside. When you share some of your time assisting others, your life will have more meaning. Allowing yourself to be bored can cause you to make poor choices; choices that may impact you for a long time or forever. Be the master of your own behavior. Don’t let your body control you—you control your body. If you’re a college student and you find yourself bored, this means you’re wasting valuable time that you could be investing in increasing the prospect of you obtaining a job after you graduate or improving your chances to gain adequate funding for graduate school. It may be useful for you to get a part-time job to occupy some of the time you believe needs to be filled, and this will enable you to make some needed money. Don’t let your idle mind be your tragic flaw. Nice post. I agree with you on this. Boredom is the sign of talent being wasted. Find your passion and do that thing. Thank you! Our young people need to be made aware of the dangers of their “boredom.” You are right: individuals must find their passion and let that passion fuel their lives. Good response and thank you for reading and your response. 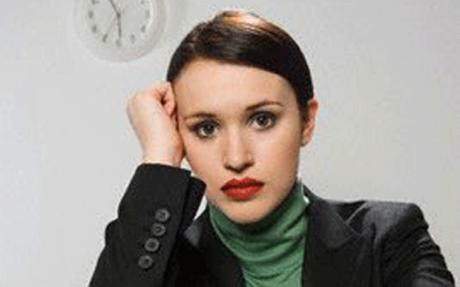 Do you think that extroverts may be more prone to boredom than introverts? I hate hearing adults use the word “bored” because I always feel that there just isn’t enough time in the day to get all my little projects, distractions, and work done. With being an introvert and a bookworm I find that many of my projects involve solo things… like writing, art, reading, posting… you name it. Extroverts need other people, parties, engagements, movement… so without that I can imagine that they become bored. Have you noticed this trend with personality types? No, I don’t think extroverts are any more prone to boredom than introverts. Introverts express their boredom in more private ways than extroverts. We are better able to see the extroverts’ boredom because they disclose their boredom more publicly. Yes, I’ve noticed certain personality types are more prone to boredom. I’m a mixture between extrovert and introvert. Even if I did not have all of the things I’m professionally and academically associated with, there are some many things like reading, writing, playing sports, playing video games, visiting museums, going to the movies, watching television, going out to eat, preparing meals at home, researching something new, and etc. that I could do; this can be done even if I didn’t have one professional and academic association. There’s too much anyone can be doing to ever get bored. Always being bored means a person is lacking the necessary self-esteem. Not necessarily that the person has low self-esteem but that they have some self-esteem problems that need addressing. Man, I, too, despise hearing adults talking about they are bored. That’s foolishness. They need to depart with their foolishness. Lol! Good point on the introvert deal, I have seen many posts on places like Reddit (which is introvert city) where people express being an adult, bored, and lacking motivation. Their quest for finding ways to not be bored seems genuine enough but nothing offered by way of suggestion works for them. Could it be chemical, or something else beyond mental that brings about the feeling of boredom even though you know that there’s lots of things to do? It’s an interesting topic but that would be a great study for someone in the psych field to break down for me. I’m trying my best to be less judgmental of people with less drive than myself so I’m giving the bored the benefit of the doubt here. Yes, Reddit is “Introvert City.” Lol! I do think that it could be some chemical imbalances and this would be an excellent topic for a psychology and psychiatrist to deconstruct. Medical research does reveal that there is a chemical imbalance (usually a very serious chemical imbalance) present when people are depressed. I, therefore, wonder is there some connection between the inability of the depressed to find satisfaction and the seeming inability of these folk who are always bored to find some consistent satisfaction. I, too, want to give them the benefit of the doubt and I want to work more on being less judgmental. Good questions and observations. This is another good piece! I can never be bored, there is so much to do and things that I need to get done. If I ever said I was bored, I need to be regulated. “An Idle minds is the devils’s workplace”. Thanks! There’s really too much anyone could be doing to prevent boredom. They choose to be bored. When people say they are bored, it’s usually a sign of their laziness and lack of focus. Indeed, an idle mind is the Devil’s workshop. People need to occupy their minds, hands, and feet with things that are productive. Indeed, it does. We have to find ways to help young people and adults avoid the pitfalls of boredom.